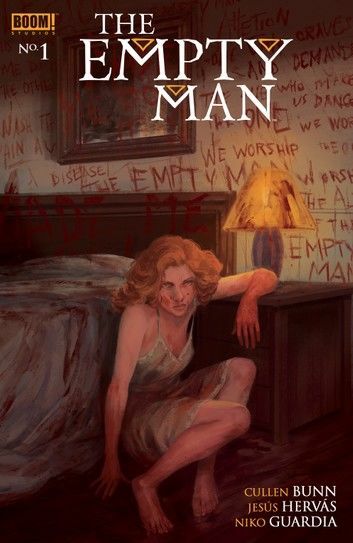 Horror sensation Cullen Bunn (Harrow County, Bone Parish) returns to the world of Empty Man with artist Jesús Hervás (Lucas Stand, Clive Barker’s Hellraiser) in this new ongoing series. The nation is in the grip of a terrible pandemic. The so-called Empty Man disease causes insanity and violence. Government quarantines are mandatory. One of the afflicted is Melissa Kerry, and the next step should be to quarantine her—but those who enter quarantine are never seen again. Melissa’s family won’t let that happen. All they have to do is care for her, keep her worsening condition a secret—and they’ll do anything, trust anyone, to keep her safe.